I use my bullet journal on a daily basis. It is vital to keep this up because it does really help. I really noticed a difference when I miss a few days whilst I had an operation and didn’t fill in my journal. Now I am back doing this I can see a difference. 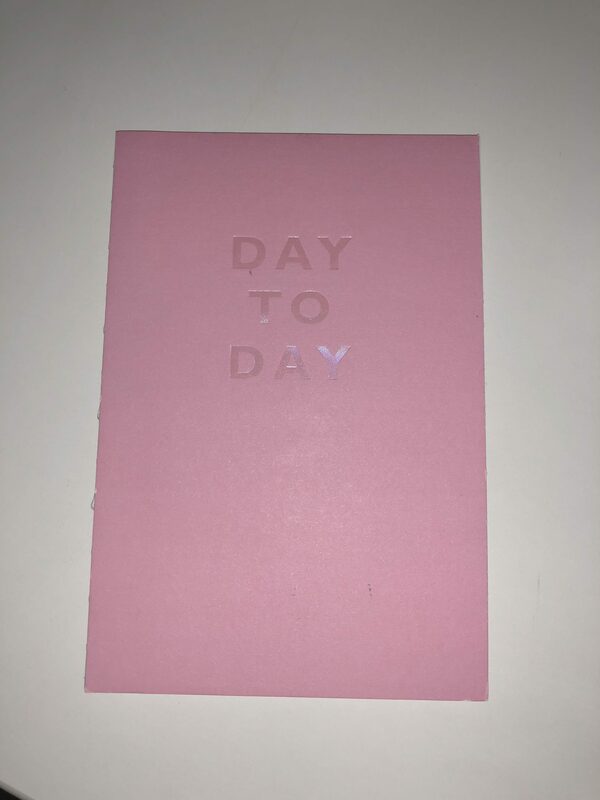 You don’t have to be creative to bullet journal there are various ways to write or draw the day out. You can also find a lot of ideas for pages on pinterest or youtube. It also allows you to stay positive and let the negativity out. I have also found that a squared paper note book is much better to create your journal. I do a regular bullet journal diary but change it monthly to keep me interested in doing it. You can also add pages that are relevant to that week or month even. So for me I can have a what to pack for holiday list or books to read page. It’s also good to track your mood. 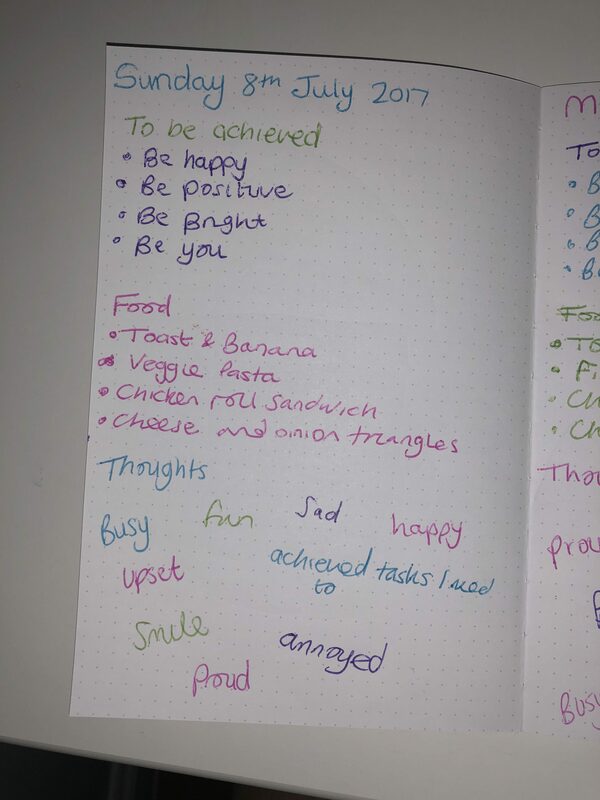 For my regular daily page, I bullet journal, the food I eat, my mood(s) in colours, a to do list of positive things I need to remember, and then a mind map of all the negativity and things that happen that day. I use a variety of colours, date the page and make it as creative as I can. Draw even if you think you’re a bad drawer. It’s only you that will see your bullet journal. Colouring and drawing are a really good way of releases stress. Remember to write down a positive of the day too. This can be anything really. You are learning to love yourself or continue to. It could be as simple as ‘I made it out of the house today.’ If that is a positive for you. For the weekly and monthly pages you can be as creative as you like. It is important to include your mood every day. For example You can do a mood animal. I’ve seen these as fish or a tortoise but you can do whatever you would like. Drake lines across the animal to split it to as many days as you require. This is still something you will have to fill in everyday but colouring in one square takes no time at all. You then fingers crossed should have an array of colour spread over the animal sharing your moods for the month or week. Remember to colour code to each mood so that all the blues mean sad etc. At the end of the month you can see how you could improve or how well you have done. Another page that you can do is a holiday packing page. Draw some suitcases on the page, then for everything you pack write down the word in the suitcases. Really simple but something that will help you know you’ve packed everything and what you need to remember to pack on the way home. Again add colour happy colours, because not only is a holiday a happy thing it’s also an achievement. Anything you can achieve is good to document. The book shelf is a really good one that I love. Every book on that shelf is one you have read. One you can build up on over the year. I find it hard to read an entire book unless it’s good enough that I really get hooked. So this is a big achievement for me to even fill a line of books on the shelf let alone the full book case. So this covers what I bullet journal as I learn more I may share more with you. You will have good days and bad days but that is normal for everyone. It takes 5 minutes to write this down and will benefit you in the long run. It also allows you to look back, see how many good days you have compared to bad. I do take my bullet journal with me on holiday or if I am staying away from home because it’s important to do every day. 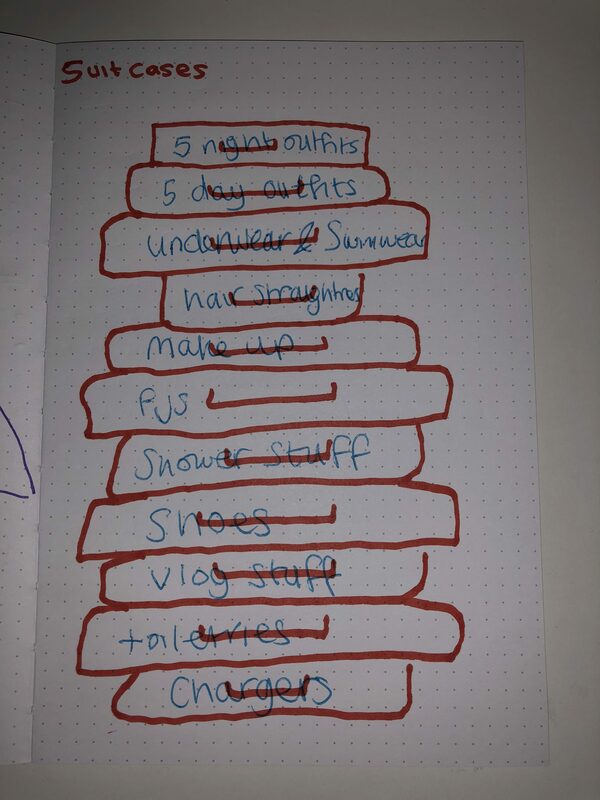 If you are thinking of starting a bullet journal, do it. One thing I would suggest is *buying a squared paper notebook. These can be found anywhere but this is the one I have. It can feel like this is pointless to begin with but when you allow the time into your routine it becomes normal and the ideas will flow more easily. Don’t worry if you can only think of a few things to start with you can always add to it as the day goes on. I complete mine in the evening. 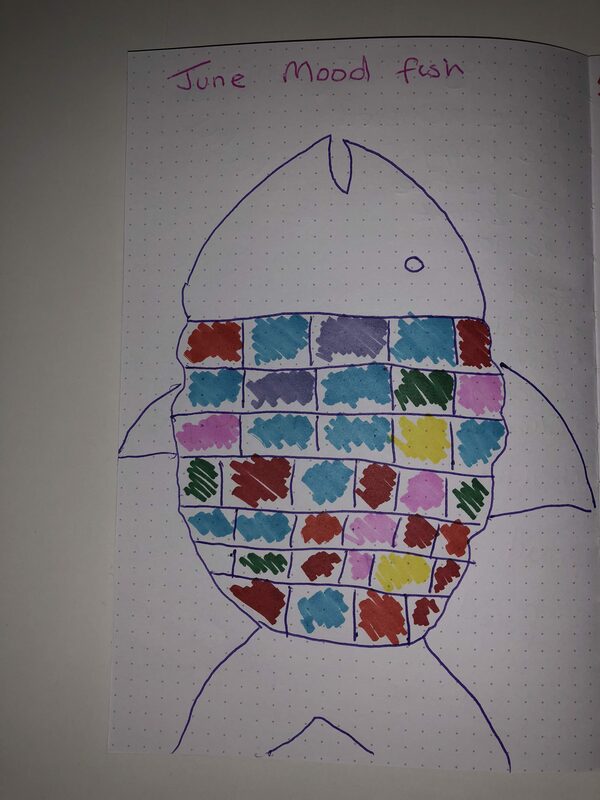 If you already bullet journal what is something you could suggest to help me or others? you should. Let me know how you get on. Its really effective. Takes time to get into but worth it in the end.